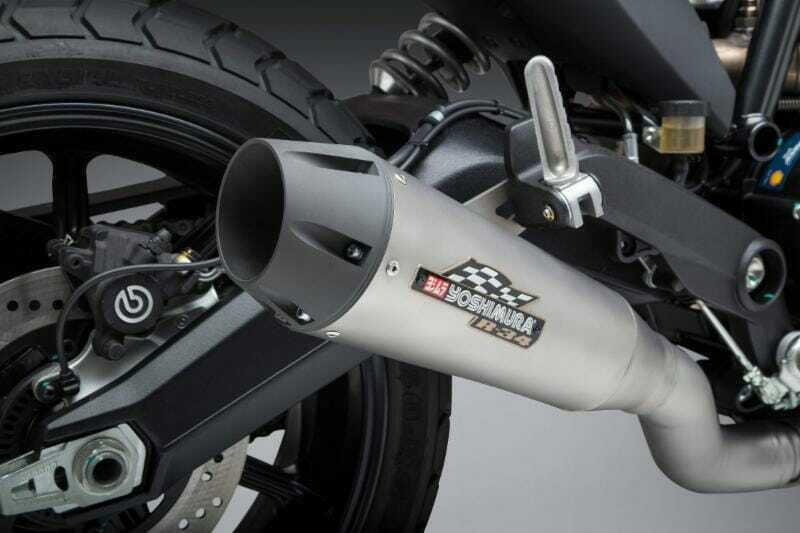 Yoshimura Race Series R-34 Works Finish slip-on for the Italian twin. 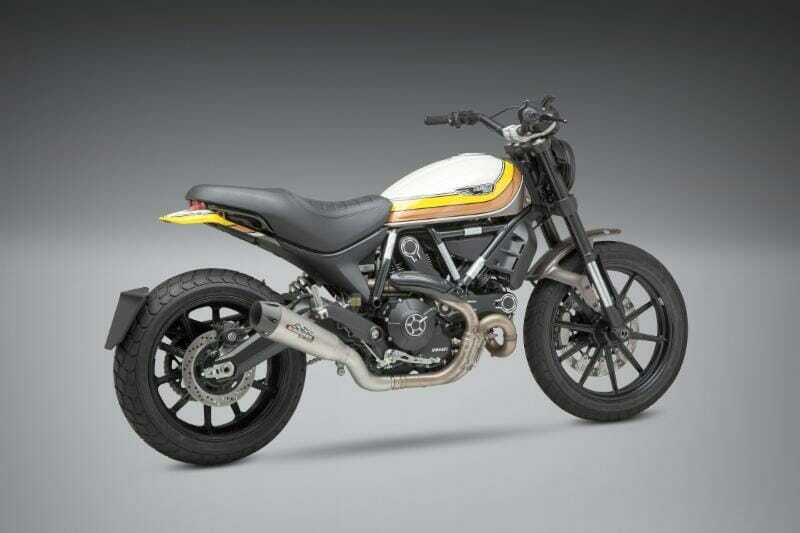 Chino, CA (April 10, 2019) – Since it came on the scene in 2016, the Ducati Scrambler has been a very popular bike. 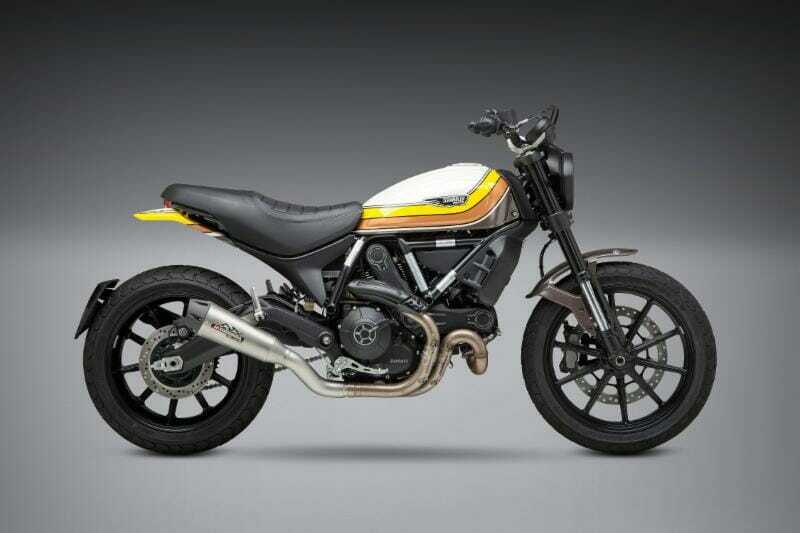 Each concept of the Scrambler that emerges gets more and more cool factor added to it, so we decided to put our hand to this Italian twin’s power delivery. 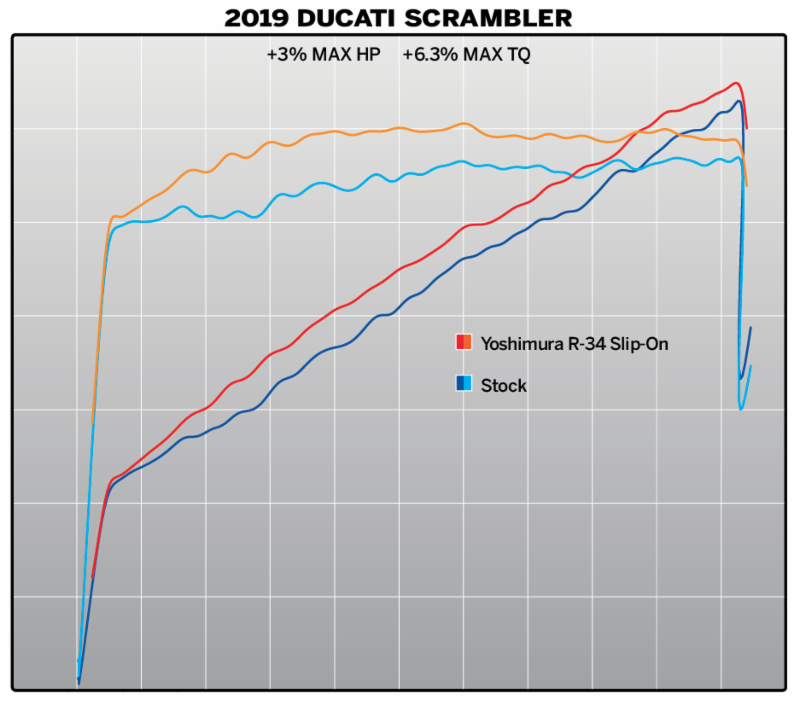 The Yoshimura R-34 profile was perfect for the ascetics on the Scrambler. Its retro vibe and its tone is a match made in heaven. The Race Series R-34 Works Finish slip-on provides not only over a 4-pound weight reduction, it boosts max torque 6.3% while adding 3% max H.P. to the mid size twin. Eccezionale! Yoshimura R-34 Stainless slip-on weight: 8.9 Lbs. Race Series by Yoshimura: If you’re looking for that competitive edge, look no further than our Race Series. These exhaust systems are designed with nothing but power in mind. Each Race Series system is developed in accordance with noise compliance regulations imposed by most racing sanctioning bodies worldwide. To learn more about Yoshimura and view their wide variety of performance products, visit www.yoshimura-rd.com.